Well, it’s all come to this. Magnum Gas and Power (ASX:MPE) is set to spud the Tulainyo-2 appraisal well by mid-October — just few days away. This appraisal well will test the commercial potential of the Tulainyo Gas Project, which has been independently assessed to host up to 6 trillion cubic feet of recoverable gas. Based on current prices, this project has a potential in ground value of US$6 billion. Given its work to date, MPE thinks that it has a 50/50 shot of achieving a successful flow of gas to surface at commercial rates. MPE is currently capped at less than $20 million, and with a 20% stake in this project, the size of the potential prize to the company is $1.2 billion. That’s sounds like a fairly compelling risk / reward ratio to us. However, we don’t know your personal circumstances or your risk profile. So if considering an investment here, seek professional financial advice first. Once the well has been spud, it should take around 21 days to drill, and as soon as early November we could have some solid results in which to gauge whether or not this project could be deemed a success. MPE aren’t going it alone though. A key part of MPE’s strategy is to de-risk its assets by working in a joint venture capacity with its farm-in partners. Infusing the venture with some heavy-duty credibility is a pair of high-calibre partnerships. One of these is California’s largest natural gas producer, California Resources Corporation (NYSE: CRC), the project operator. Precisely the kind of powerhouse you’d want by your side and doing the grunt work if you were embarking on identifying a giant scale resource in one of the most prolific oil and natural gas producing regions in the world. With heavyweight players like these on its side, this is some serious clout —and considerable de-risking — that MPE is able to leverage. MPE is also comfortably funded to embark on its appraisal drill in the coming weeks, with a recently completed $500,000 strategic placement and a $4 million capital raising and no debt on its books. Things are set to heat up very shortly for this ambitious company, so let’s cut straight to the chase. Magnum Gas & Power (ASX:MPE) is a company on what you might call a hardboiled mission. This ASX energy micro-cap has a single-minded, crystal-clear focus — its potentially company-making Tulainyo Project in northern California’s Sacramento Basin. And its gaze is unblinking as it homes in on this multi-tcf target. Dubbed the Tulainyo-2, MPE’s upcoming well will appraise a potentially giant-scale, over-pressured gas discovery in the prolific Sacramento Basin. According to a recently published risk assessment, the basin hosts up to 6 trillion cubic feet of recoverable gas (that’s an unrisked, gross prospective resource with P10). The structure of the gas discovery is a large anticline with up to 91 square kilometres of closure. It has a strong surface expression, gas seeps and gas encountered by historic drilling. Drilling in 2014 encountered multiple, stacked, gas bearing conventional reservoirs. However, these weren’t tested on account of mechanical difficulties. Until now. This conventional gas resource is impeccably located, with access to gas markets and extensive infrastructure. Should MPE manage to successfully confirm a commercial flow of gas, this will be ideal for future development. What’s more, this potentially monolithic resource is situated in California, which imports more than 90% of its gas and pays a premium, with prices likely to surge. Of its 2.5 trillion cubic feet per year gas demand, California only produces one sixth, which means more than 90% is imported from out of state. By 2025, California is expected to import 98% of its natural gas requirements. Given this voracious demand for local gas production, this ASX micro-cap could very well be in the right place, at the right time. To meet this high demand, MPE is sharply focused on the rapid appraisal and commercialisation of this multi-tcf gas resource, so it’s looking to move fast here. With the well permit granted and a rig contracted , everything is falling steadily into place as MPE rears up for what it’s hoping will be a company-making drill. Moreover, as we may have already alluded to, this is an appraisal drill. The discovery itself has already been made. If MPE can manage to strike large, commercial gas quantities it could stand to significantly disrupt the supply-demand dynamics of California’s natural gas industry. We originally introduced you to MPE in August with the article, Audacious ASX Micro Cap to Drill Potential US$6BN Gas Resource . In that article, we took a look at the finer points of MPE’s well-muscled business plan, as well as its high-pedigree partnerships. We also looked at where MPE could potentially stand in relation to California’s hungry gas market. 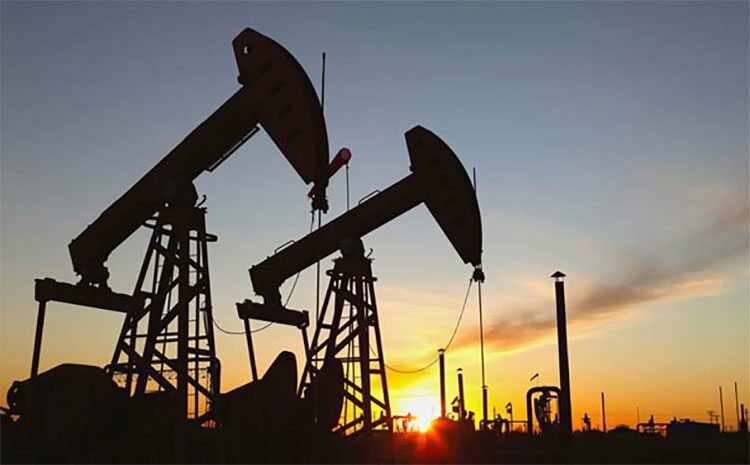 With its prime location and strong potential to meet the California gas market demand, MPE has also recently attracted the attention of research analyst at Hunter Capital Advisors, Jean-François Bertincourt. In a September report , Bertincourt rated the company as a ‘Speculative Buy’, with the price target of $0.014. With a current share price of $0.002, MPE is trading at a 600% discount to this valuation. Bertincourt considers this investment opportunity ‘proportionally de-risked’, positing that it offers tremendous upside, should the results of the Tulainyo-2 well be positive. Of course, while that sounds compelling, it should be noted that targets and estimates should not be used as the basis for an investment decision alone and professional advice should be sought if considering this stock for your portfolio. The report notes that this current valuation is based on a highly risked resource development case of 175 billion cubic feet, adding that if MPE matures its 2C resource into reserve, the stock will re-rate significantly. This is certainly a favourable report which takes into account a fertile climate into which MPE could make a serious dent: the starved Californian gas market. We’ll return to that a bit later, but for now, let’s look at the specifics of MPE’s stake in this project. As announced in June, MPE signed an agreement to invest in appraisal of the Tulainyo Gas Discovery in California’s Sacramento Basin . MPE is earning an effective 20% interest by appraising the 2015 Tulainyo-1 gas discovery, and could ultimately farm into around 33%, subject to capital expenditure commitments reached as part of the original JV agreement struck with Bombora Natural Energy. Currently, MPE holds a 60% interest via its subsidiary, Gasfields LLC, which also includes Bombora Natural Energy with a 40% stake. 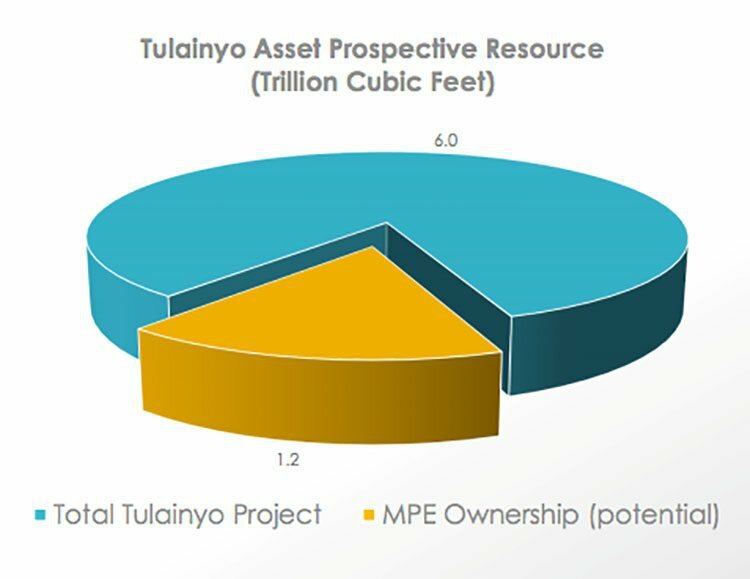 And as it stands, MPE has the contractual rights to earn into 33.33% of the Tulainyo Project — a 6 trillion cubic feet prospective resource — and a multi-billion dollar net value to MPE if confirmed. The Tulainyo farm-in agreement sees the parties holding a 152 square kilometre (close to 40,000 acres) net leasehold position over the large site anticline on the west side of the Sacramento Basin. The joint venture includes the project operator, California Resources Production Corporation, and Cirque Resources LP. As we touched on earlier, it is California’s largest oil and natural gas producer on a gross-operated basis, with production of 140 MBoe/d in 2016 (-13% y/y), including 197 MMcf/d of natural gas (-14% y/y). It has approximately 2.3 million net acres spanning the state’s four major oil and gas basins. In short, a veritable powerhouse, and a valuable ally for MPE to have on its side. MPE is comfortably funded with its recently completed $500,000 placement and $4 million capital raising primarily designated to facilitate drilling at Tulainyo. Following the Tulainyo-2 well assuming success, the JV will then move onto depth targeting and further project development later this year. Let’s take a look now at the setting for all of this. 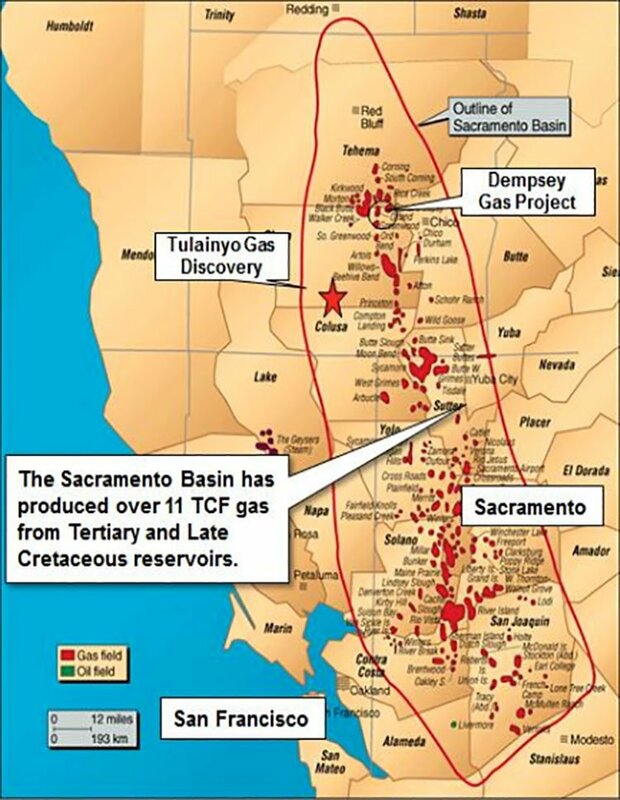 Northern California’s Sacramento Basin has been a significant gas-producing province for decades, yielding more than 11 trillion cubic feet of gas. The Tulainyo Gas Discovery structure itself comprises a large anticline with up to 91 square kilometres of closure. It has a strong surface expression, gas seeps, and gas encountered by historic drilling. The Tulainyo-1 discovery well was drilled on the site’s anticline in 2014 to 2015, discovering gas in a series of stacked sandstone reservoirs at relatively shallow depths of less than 1,700 metres. High gas shows of 1,000 to 5,000 units were recorded against elevated mud weights. The sands could not be tested due to mechanical difficulties, yet historic drilling, including the most recent well, indicates that the entire anticline could be gas charged. Tulainyo-2 will be a ‘proof of concept’ well to evaluate and flow test the gas sands penetrated at depths less than 1,700 metres (circa 5,500 feet) by the Tulainyo-1 discovery. A robust well has been planned for Tulainyo-2, incorporating tried and tested industry techniques and expertise from similar over-pressured, gassy operating environments. MPE is planning to drill the Tulainyo-2 well at a minimal cost to the company of US$3 million, with US$0.5 million already paid, to validate the concept and the findings to date. Speaking of which, it’s important to note that the location of this potentially giant-scale conventional gas resource is near-flawless... this isn’t a resource in the middle of nowhere with large costs required to bring it to markets. 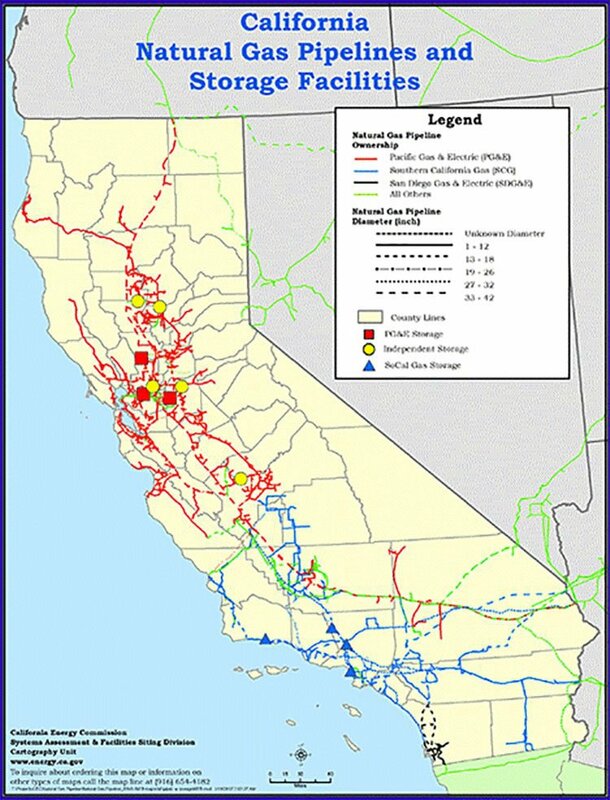 MPE’s proposed well is situated next to existing under-utilised infrastructure, with access to California’s expansive gas market via a comprehensive gas pipeline network running through the state — a clear route to monetisation. A major gas trunkline sits just eight kilometres away from the discovery. As we’ve mentioned, California is one of the world’s most prolific oil and natural gas producing regions. Yet as the United States’ largest state economy and the eighth largest in the world, California has significant energy demands that currently exceed local supply. Specifically, its gas demand averages at approximately seven billion cubic feet per day and up to 11 billion cubic feet per day during peak periods. California only produces a sixth of its annual gas demand, and is expected to import 98% of its natural gas requirements by 2025. So a huge jump in supply is needed in order to meet this demand and to mitigate the state’s current energy supply deficit. This, in turn, could be a highly salient opportunity for an ambitious micro-cap energy explorer like MPE to shake things up from within the state. Unlike other basins in the US, the Sacramento Basin hasn’t been fully explored or developed, and has considerable untapped potential. If MPE manages to discover a considerable gas resource here, this could be sold for serious sums. With its appraisal well set to spud in the coming weeks, MPE’s timing could scarcely be more pertinent. With a market cap of less than $20 million and the potential to significantly disrupt the supply-demand dynamics of California’s natural gas industry, this tiny stock could make for a remarkable entry point into the oil and gas corridor. Of course this remains a highly speculative stock and investors should seek professional financial advice if considering this stock for their portfolio. Spudding of MPE’s much-anticipated appraisal drill in the Sacramento Basin is due to begin in a matter of days. A flurry of news flow is anticipated over the coming weeks and months, including the Tulainyo-2 drilling itself, log results, and gas flow-rate data. All of these are potential share price catalysts that could well command investor attention. And as the news flows at Tulainyo, we’ll be keeping you updated here at the Next Oil Rush.